Nintendo’s latest entry into the ever-expanding ‘New Super Mario Bros.’ series launched alongside Wii U, but can it do anything to bring this stale franchise-within-a-franchise back to the glory days of old? With the launch of a new console– Wii U in this case– industry staple Nintendo always turns to a premier intellectual property to act as a catalyst for initial sales to hopefully make a dent in the marketplace. With Wii U’s predecessor “Wii”, Nintendo forwent tradition and went with a (highly anticipated) Zelda game, in addition to a new family-friendly motion-gaming-based aesthetic, and the rest is history—Twilight Princess became one of the most critically acclaimed games of the seventh generation, and the Wii went on to outsell its Sony and Microsoft contemporaries by 29%. This time around, Nintendo is going back to its roots and kicking things off with a Mario game, oddly enough only three months after releasing the third New Super Mario Bros. iteration on 3DS. The fourth in line for the series, will New Super Mario Bros. U break the mold of the increasingly cookie-cutter series and offer a fresh experience akin to Super Mario Galaxy, or will it continue down its road of slight obsolescence? Upon (near) completion, the latter is definitely a better descriptor, but New Super Mario Bros. U still manages to be well worthy of your time and money. I am the minigame queen and Nintendo Land is my kingdom. The virtual Nintendo themed amusement park may seem like a very obvious way to teach us all of the new features of the Wii U, but it also delivers a fun and charming party game with the familiarities of our favorite Nintendo games. 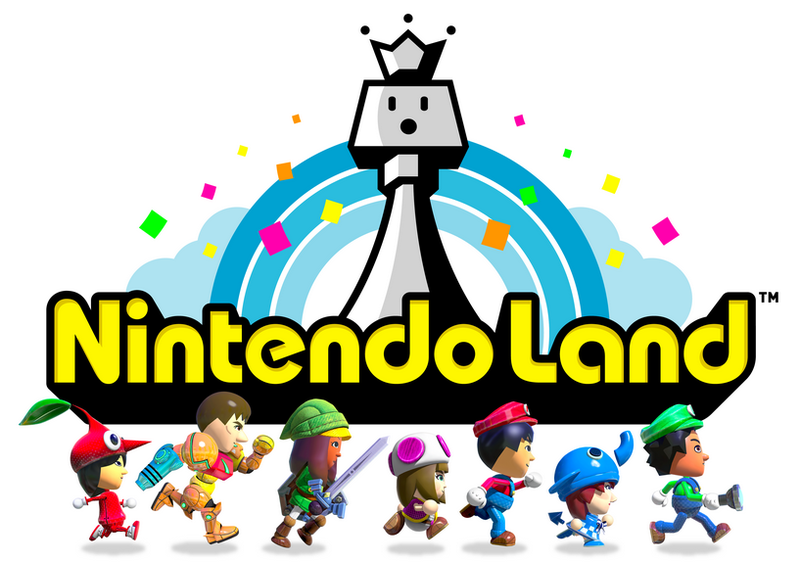 Following in the footsteps of Wii Sports, Nintendo Land uses a fun mini game style to teach us how to get the best experience out of the Wii U’s new features. I played some of it multiplayer on the livestream we did a few days ago, and some by myself, and I’m happy to say that either way it was a lot of fun. Party games are usually only fun in a…well, a party! But I can honestly say I enjoyed playing by myself as much as I did with friends, and you can’t get that same feeling with games like Mario Party, Wii Sports or Wii Party. Survival horror has made its triumphant return to consoles. I’ve been playing ZombiU constantly over the last two days, and when I first started out I considered myself nothing more than certifiably intrigued. A couple of hours in, and I went from intrigued to impressed. A few hours on top of that and I was enthralled. Add an hour or two more and I found myself legitimately surprised that I was enjoying the game as much as I was. I had read in so many places that at best it was “fun-but-flawed”, and I had damn-near convinced myself that such a label was “good enough”, and very admirable for a launch title. When it comes down to it though– and I do NOT say this lightly– I’ve ended up thinking that ZombiU is one of the best survival horror games I have ever had the immense pleasure of playing. Note: This is the very first review written by podcast crew member Laura. Be nice, but be sure to let us know if it’s really terrible so we can fire her. We all grew up with that love-able talking mouse who charms his way through any situation, right? Well, he’s back again with another ‘Epic Mickey’ installment, only this time he’s charming his way across side scrolling platforms. With a lot of gaming franchises you’ll end up seeing a poorly-transferred version of a console game come out for the handheld device of the time, presumably for some easy money. Epic Mickey: Power of Illusion takes that idea and gives it more hope. While the game has quite a few flaws, it carries many of the same elements as the original console game but at the same time holds strong on its own. Disney Interactive Studios has created a whole new game for the 3DS that fits with in the Epic Mickey world, and instead of trying to recreate an entire console game and shrink it down for a handheld device, they used the transfer to their advantage. Exploration platforming makes its extensively flawed return, but do the pros outweigh the cons? It’s a strong “maybe”. I’ve said about the first Epic Mickey that it was a flawed, but ultimately deeply engaging exploration platforming experience. We don’t have enough of the genre these days, so when the inevitable sequel to the game– tag-lined “The Power of Two”– was announced, I felt quite a bit of reserved excitement. If Junction Point could manage to take the good of the first game, strike out the bad, and add just a few minor touches, we would have this generation’s Banjo Kazooie. After playing the game, I still stand by that concept. The problem is that they didn’t do it. That game was Picross DS. 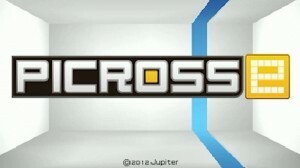 Picross e, the latest of the Jupiter-developed, Nintendo-published puzzlers, feels like a massive step backwards. Platforming Fans: You have a new game to buy. I’m not kidding either. MegaMan 2 was a game I grew up on. I never beat it as a kid- it would be ten years until that accomplishment- but I played it more than any other NES title I owned, plowing through the harrowing platforming puzzles, dodging beams of light on FlashMan’s stage, and cursing (as good as any 6 year old could, anyhow) at the frustrating spikes scattered about BubbleMan’s underwater fortress. By age 8 I had beaten every robot master thirty times over, and though I never defeated Wily himself, I got as close as anyone else my age. I was- and still consider myself to be- a very skilled platformer. It is with great consideration, then, that I concede (temporary) defeat in front of the latest game I have had the pleasure of reviewing. That game is ‘Fractured Soul’, a dual-screen platformer from the makers of nothing you’ve likely heard of. If you want to know more about the developer, you can read my interview with them here. If you want to know more about my concession to ‘Fractured Soul’? Simply hit the break and I’ll tell you all about it. Never heard of Heroes of Ruin? Check out this launch trailer! It was a very long time ago that I first played Gauntlet Legends on Nintendo 64. For some reason it sits in my mind as one of those “N64 classics” despite not REALLY doing anything revolutionary at the time. Maybe it’s the really funny running animations? Still, it was fun, but thinking back it really wasn’t as good as I remember. Terrible? No, not at all. Just not great. Then comes along the latest game from n-Space, Heroes of Ruin. I remember playing it at E3 last year and not being terribly impressed, but when I got back from L.A. it seemed like people were raving about it left and right, saying it was going to be the 3DS’s Diablo, or a true game for those that have been waiting on that old Gauntlet DS game that got cancelled. But is it? Whatever happened to rhythm games? Sure, we all saw Guitar Hero and Rock Band achieve mainstream success, but what happened to the weird subset that blended the usual rhythm-based gameplay with unique visual styles and character-driven storylines? While games like Gitaroo Man and Parappa the Rapper became critical hits, the genre seems to have fallen off the radar lately (probably because you didn’t buy Elite Beat Agents*). 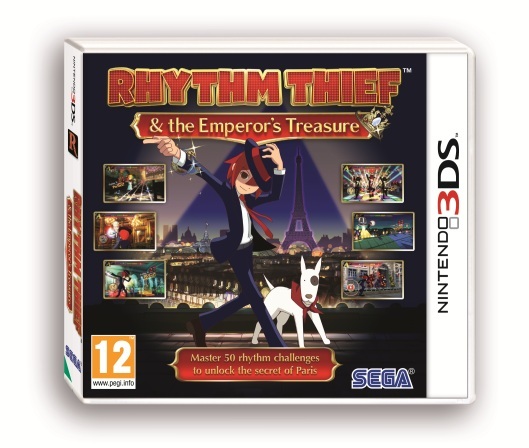 Thankfully, there’s now Rhythm Thief, a Sega produced “rhythm game revival” of sorts. With the combination of Samba de Amigo director, Shun Nakamura, and Space Channel 5: Part 2 composer, Tomoya Ohtani behind the game it should be a success, but does it successfully follow the path paved by its predecessors? Two things. Number one, I actually do know how to pronounce the name of the game. Number two, stop telling me to do ‘regular’ and ‘informative’ reviews. Information about the game is on every other video game website ever- including this one. You don’t need me telling you things that you can find elsewhere more easily. Number three, I’m getting a new camera that isn’t crappy.